John M. Barry is the author of Rising Tide and The Great Influenza. His latest book is Roger Williams and the Creation of the American Soul: Church, State, and the Birth of Liberty. 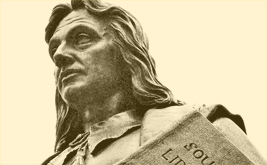 The founder of Providence was the first to see that religious freedom, and separation of church and state, was intimately connected with political freedom. Why we're losing the war against influenza.